Ideal for prestige offices, company executives and 24 hour use. It's wide flat cushions also make it ideal for large users. 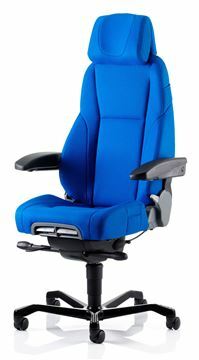 A premium office chair featuring an Air Comfort System. 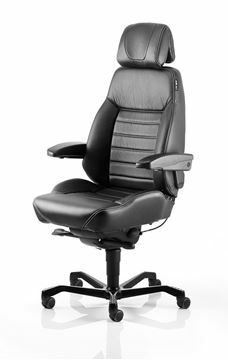 The system enables users flexible comfort through 8 lumbar zones, tailoring lumbar support according to individual user requirements. 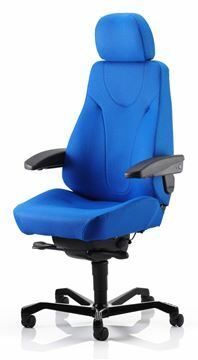 A premium office chair featuring an Air Comfort System. The system enables users flexible comfort through 8 lumbar zones, tailoring lumbar support according to individual user requirements. Premium black leather and fabric options with double whiteline stitching. 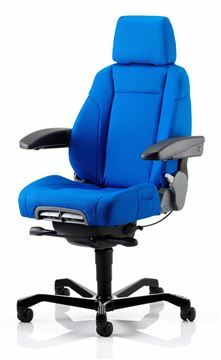 An all round business chair with a medium height back for general offices, VDU operatives and industrial applications. An adjustable seat base cushion provides suitability for operators of all different heights. The K-Series modern ergonomic styling and all round comfort make it equally ideal for 24/7 applications such as Control Rooms, Operation Centres as well as General offices. 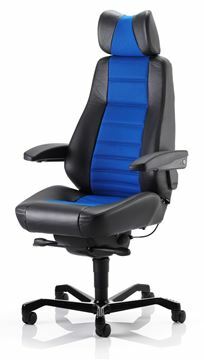 An adjustable seat base cushion provides suitability for operators of all different heights. The K-Series modern ergonomic styling and all round comfort make it equally ideal for 24/7 applications such as Control Rooms, Operation Centres as well as General offices. 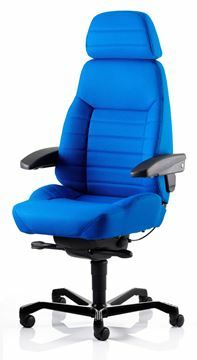 An adjustable seat base cushion provides suitability for operators of all different heights. Leather and fabric combinations. 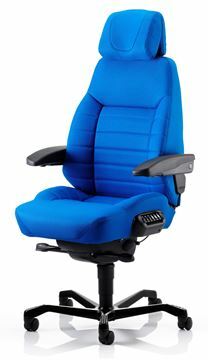 Premium office chair with simple adjustment options, high resilience and the uncompromising RECARO quality, making it ideal for 24/7 office environments.